US Commerce Secretary Wilbur Ross on Thursday urged furloughed federal workers facing a second missed paycheck to seek loans to pay their bills. Ross made comments as the longest government shutdown in US history entered its 34th day. 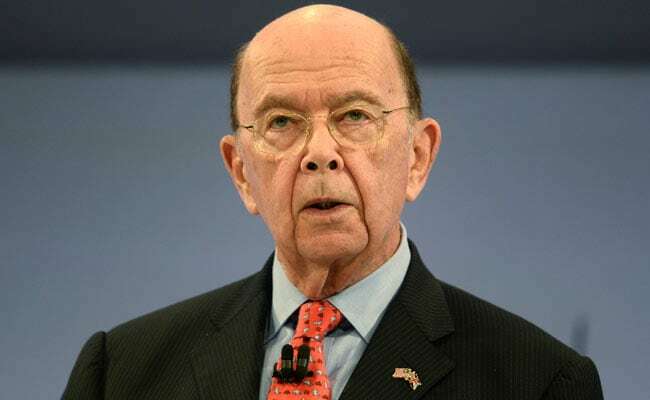 US Commerce Secretary Wilbur Ross on Thursday urged furloughed federal workers facing a second missed paycheck to seek loans to pay their bills while adding that he could not understand why they were having trouble getting by. In a CNBC interview, Ross, who made a fortune buying distressed companies, said it was disappointing that some federal workers affected by the government shutdown were not showing up to work. "So the 30 days of pay that some people will be out - there's no real reason why they shouldn't be able to get a loan against it and we've seen a number of ads from the financial institutions doing that," Ross said. "So there really is not a good excuse why there really should be a liquidity crisis," he said. "True the people might have to pay a little bit of interest." Ross made the comments as the longest government shutdown in U.S. history entered its 34th day with no end in sight. Ross's boss, President Donald Trump, said he had not heard the comments "but I do understand." "Perhaps he should have said it differently," Trump told reporters during a trade meeting at the White House. "Local people know who they are, when they go for groceries and everything else, and I think Wilbur was probably trying to say they will work along. I know that banks are working along...But he's done a great job, I will tell you that." About 800,000 workers have been furloughed across roughly one-quarter of the federal government. Many have turned to unemployment assistance, food banks or other work to try to make ends meet. Democrats took Ross to task for the comments. "Is this the 'Let them eat cake,' kind of attitude, or 'Call your father for money?' or, 'This is character building for you?'" House Speaker Nancy Pelosi asked at a news conference. She noted Ross' comments came "as hundreds of thousands of men and women are about to miss a second paycheck tomorrow." U.S. Representative Jennifer Wexton, whose northern Virginia district includes many furloughed workers and federal contractors, said she invited Ross to visit a food bank with her. "That's one thing that's been so striking about this entire process is the complete lack of empathy from the president on down through his administration, a complete lack of understanding of what day-to-day life is for regular people in this district," Wexton told CNN. Ross is not the first Trump administration official to downplay federal workers' plight. White House economic adviser Kevin Hassett likened the furlough to a vacation in an interview with PBS this month, though on Tuesday he told Fox News that he knew workers felt "a lot of pain right now." Lara Trump, the president's daughter-in-law and adviser to his 2020 re-election campaign, told online television outlet BOLD TV this week that federal workers faced "a little bit of pain" over their bills but urged sacrifice, saying "this is so much bigger than any one person." She then explained on Fox News Channel on Thursday that she is "incredibly empathetic towards anyone right now without paycheck" but that "my whole point was that the president is standing strong on his position because this is really about the future of our country, about fixing that immigration system."